This is your chance to go to Oman and be mentored by Nat Geo veteran and host of National Geographic Channel’s Pure Photography series, Jason Edwards! WorldNomads.com and National Geographic Channel are giving one aspiring photographer the opportunity to accompany renowned wildlife and natural history photographer, Jason Edwards, on assignment in Oman. Find out firsthand what life is like in the field for a travel photographer and learn the tricks of the trade during this 8-day mentorship experience. 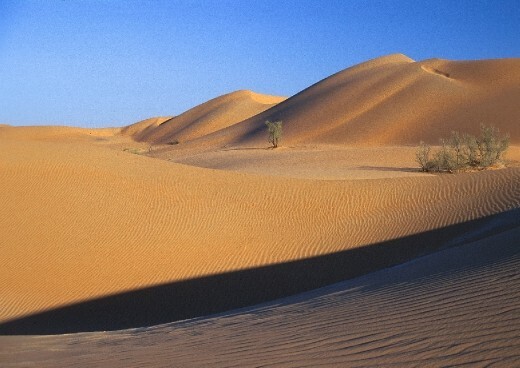 This is the Arabia of Aladdin’s dreams. 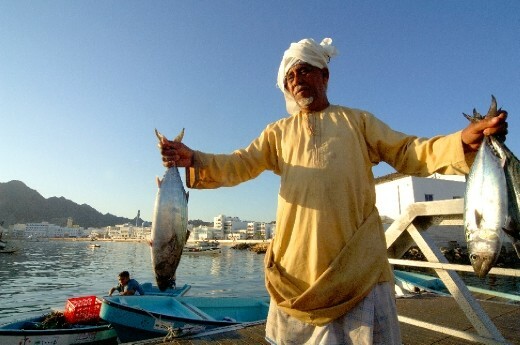 Allow Peregrine Adventures and Oman Tourism to help you explore the historic city of Muscat and drive along the coast to the bubbling fishing village of Seeb. By 4WD, travel to the rugged interior and the splendid forts of Nakhal and Al Hazm, framed by the spectacular Jebel Akhdar Mountains. 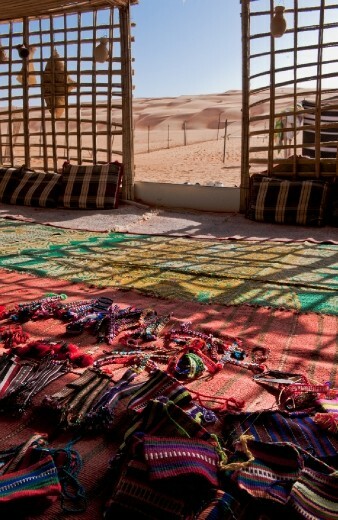 Continue on to explore the beautiful oasis at Wadi Bani Khaled, before entering the vast Wahiba Sands – where you’ll sleep at a rustic desert camp under a blanket of brilliant stars. The charming oasis of Lisq and the village of Mudaibi, further reveal the local life of Oman, as does a browse of the fabulous souk of ancient Nizwa. Meet the people, learn of their delicate silverware, woodwork and embroidery, and unwind in the cool heights of the Mountain of the Sun, all before a further wander of the wonderful maze of Muscat. And what better way to capture the entire experience than from behind the lens of a new Canon EOS 6D?! *You must be available to be in Oman between March 7-16, 2013. *On the trip you will work alongside Jason Edwards photographing the people, culture and landscapes of Oman at various times of the day and night. *You will gain invaluable mentoring and hands-on experience in everything from shot set up, technique and composition through to insights into his many years of diverse experience as an award-winning photographer. *Your assignment will involve observing and assisting Jason as well as undertaking your own photographic work. This will involve long days, early mornings and late nights working! *Most of all, you’ll be experiencing what it’s like to be a photographer on-assignment with National Geographic! *You will work through a specific shot list of 30 photos that will be commissioned by the scholarship partners as part of your assignment. *You will keep a daily diary about your time on the trip and upload this to a WorldNomads.com travel journal (minimum 200 words per day), including pictures you’ve taken. *On your return you will work with Jason Edwards through the editorial process to shortlist your top photographs and colour balance to achieve professional looking shots for submission to National Geographic Channel for publication. 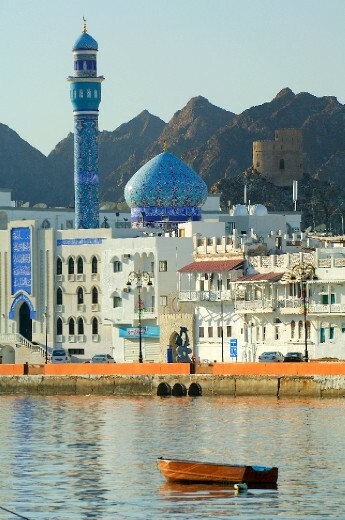 *An 8-day bespoke trip to Oman with Peregrine Adventures and Oman Tourism. *Round-trip airfare from your country of residence to Muscat courtesy of Etihad Airways where you will meet your mentor and small film crew. *Travel insurance for the duration of the trip from World Nomads. 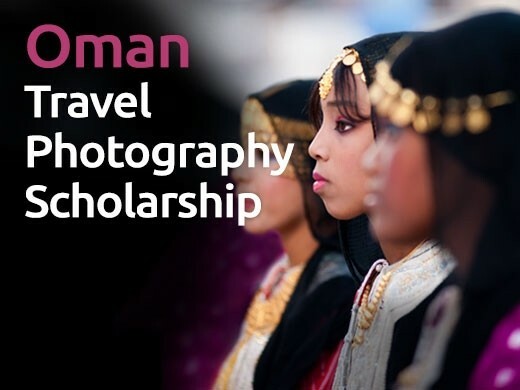 * You should be an exceptional photographer with a lust for adventure, have a strong desire to be mentored and grow your photographic knowledge and skills, an ambition to forge a career in Travel Photography, and of course a desire to travel to Oman. Am I eligible? What makes a non-professional? We appreciate that the photography industry is difficult to break into and there are a lucky few who can count themselves as professional full time photographers. This scholarship is very much about the mentorship opportunity, and the judging panel will be selecting the person or team who they feel will most benefit from the learning opportunity. So, if you currently make more than 25% of your income from photography activities, you are not eligible. You will be asked to outline your experience to date in the submission process, and it will be the judging panel who decides who is most suitable based on their photos and written component. Find out more about eligibility on our FAQ page. If your photos (with captions and essay) are not ready, we suggest you come back later to complete this entry. Please see our FAQ page about the theme, making digital adjustments and Jason’s judging criteria before you submit your application..
3. Tell us in 1200 characters or less about yourself and why you should be chosen. Your written response will have significant weighting in the judging process, so think carefully about why you should be chosen. Tell us about yourself, your passions, why you love photography, what drives you to take a better shot, where you would like to go with your photography etc. Help us form a picture in our mind of you as a person with your text. Please Note: Last year we almost had a server meltdown because applicants left it to the last minute to submit. Don’t miss out! Apply well before the closing date to ensure your application is successful! The recipient of the Scholarship, along with the best entries, will be published on WorldNomads.com on February 4, 2013. Check out our finalists and shortlist from 2011 along with judge’s comments. See past travel photography scholarship winner Walid Rashid’s photos (2011) and Dat Vu’s photos (2010) on the Nat Geo Channel website, and Anna Zhu’s (2009) exhibition with Jason Edwards in Sydney. Go on assignment to the Arnhem Land, far north Australia and have your doco broadcast on Nat Geo Adventure! Kick start your documentary career by going on assignment to one of the most remote Yolngu Aboriginal communities in Arnhem Land (far north Australia), and be immersed in traditional Yolngu Aboriginal knowledge and understanding of the land, sea and animals. Flying to the Northern Territory with Virgin Blue,you will take part in a special project withWorld Expeditions, working alongside the indigenous Yolngu Aboriginal rangers to restore sea country by removing and cataloging marine debris, the by-product of South East Asia’s fishing industry. Under the mentorship of documentary producer Trent O’Donnell (who filmed our Positive Footprints series screened on Nat Geo Adventure Channel)you will find your story and create your own short documentary. It will then be considered for broadcast on Nat Geo Adventure! That’s right – the holy grail documentary makers work their whole lives to achieve! Join a 7 day World Expeditions‘ community project in North East Arnhem Land, working alongside the indigenous Yolngu Aboriginal rangers to restore sea country by removing and cataloging marine debris, the by-product of South East Asia’s fishing industry. The virtually pristine coastline is facing a significant environmental threat from marine debris washed in on the ocean currents. Discarded fishing nets, rubber footwear, empty bottles and plastic bags are all carried by these currents from throughout the South East Asian region and deposited on the Arnhem Land Coast. All of this waste is a major threat to the wildlife, as animals get caught up in the nets and choke on the plastic rubbish. Not only will we be using high-tech techniques for dealing with this modern problem, but also relying on and learning from Traditional Yolngu Aboriginal knowledge and understanding of the land, sea and animals. The group may break into mens and womens groups to share in the gender-specific aspects of culture and lifestyle. Men can learn traditional hunting and fishing and women can be involved in traditional bush medicine, bush food and handicrafts. This project aims to work alongside and under the direction of Yolngu Aboriginal Rangers from Dhimurru and Laynhapuy Land Management as we together collect, catalogue and dispose of the marine rubbish. Working with the Yolngu people under the mentorship of Trent O’Donnell you will find your story and film your own short documentary. * We’ll fly you to the Northern Territory, Australia with Virgin Blue from your country of residence. * You need to be available to be in Australia from September 3-9, 2011 to participate in the project. * Under the mentorship of Trent O’Donnell you will shoot a video documentary about the experience. * You will keep a daily diary about your time on the trip and upload this plus pictures you’ve taken to your WorldNomads.com travel journal. * You will edit together your 5-10 minute documentary and submit it to WorldNomads.com within 2 months of your return. * Any non-professionals can apply – this is open to film students, or anyone who’s trying to build a career in documentary making! * Minimum age 18 with a current, valid passport and you must available as per the dates set out. Please note these dates are not changeable in anyway. * You may be a resident of any country. * You must be fit and healthy as moderate levels of physical work are involved, and happy to camp for 7 days. This is a grey area, and very tricky to put measures around. We appreciate documentary filmmaking is a difficult industry to crack and there are a lucky few who can count themselves as a professional full time documentary maker. This scholarship is very much about the mentorship opportunity, and the judging panel will be selecting someone who they feel will most benefit from the learning opportunity. So if you have already been commissioned to make documentaries or have had your work broadcast on numerous occasions, it is unlikely you will be selected. You will be asked to outline your experience to date in the submission process, and it will be the judging panel who decides who is most suitable based on their video and written component. So whilst we are not stipulating exactly what does and does not constitute a professional, think about the spirit of the mentorship program and whether you think you would make the most ideal candidate. 1. Compile a maximum 3 minute video documentary in English based around the theme; ‘Local Encounters’. Remember, 3 minutes maximum means that 3:01 videos will be ignored. In a professional video environment, you need to be able to deliver up to the exact time, we’re no different in this case. Do not go over ! Your ‘local encounter’ may be from your travels or somewhere closer to home. You should explore how this encounter changed your perspective on the world. The theme is open to interpretation, so be creative! The documentary may be compiled from previous travel videos you’ve shot. – What inspired your subject matter? – What has been your documentary experience to date? – What is your ambition as a documentary maker and what would winning this scholarship mean to you? You will be judged on what you write as much as your video submission, convince us you are a worthy candidate! 4. Additionally, we will be offering a Nomad’s Community Choice Award for the entrant who receives the most combined Facebook ‘Likes’ and Twitter ‘Tweets’ for their video on their submitted journal application page. The winner will receive a digital video camera worth AUD$2500! (This award will have no bearing on the scholarship judging). So get your submissions in early and start gathering support ! To commemorate its 50th anniversary, Seven Up Bottling Company Plc. is proud to announce the launch of its Harvard Business School Scholarship. Every year a Nigerian, resident in the country, will enjoy the opportunity of top quality education from the prestigious school at no cost. This is in accordance with the company’s vision of creating a greener future. How to access the Seven Up Harvard Business School Scholarship: Once admitted, send a copy of your admission letter to: hbsscholarship@sevenup.org and you will be contacted on the next steps.